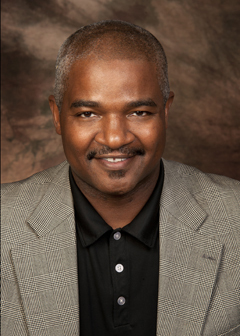 Jerry Wright is the Director of Student Support Services at Northern Illinois University in DeKalb, Illinois. He has been in his current position for the past 16 years. He has also held TRiO positions as the Assistant Director of Upward Bound at NIU and Elgin Community College and Counselor with the Educational Talent search Program at Northeastern Illinois University. He holds a Master’s Degree in Counseling from Western Illinois University and a Bachelors’ Degree in Community Health from Eastern Illinois University. Jerry served as President of the Illinois Association of Educational Opportunity Program Personnel (ILAEOPP) in 2000 and is a current Executive Board member. In 2006, Jerry was inducted into the Eastern Illinois Athletic Hall of Fame for his football playing career. He is the Treasurer of the DeKalb Youth Football League and Pastor of The Rock Christian Church in DeKalb. Visit Jerry Wright for more information. This entry was posted in Uncategorized and tagged athletics, Dekalb, Director of Student Support Services, EIU, football, IL, Jerry Wright, Northern Illinois University, Rock Christian Church, Today's Honoree, TRIO, Upward Bound, WIU, youth football. Bookmark the permalink.